While fresh fruit provides valuable vitamins and nutrients, you shouldn't eat it when it's spoiled -- not only does it not taste as good, but it can make you ill. The signs of spoiling on some types of fruit are obvious at a glance, but with other fruit, you may need to take a more hands-on approach. The look, feel and smell of your fruit can help you identify whether it has begun to spoil, and whether it is safe to eat or should simply be thrown away. Check the expiration date on the package. 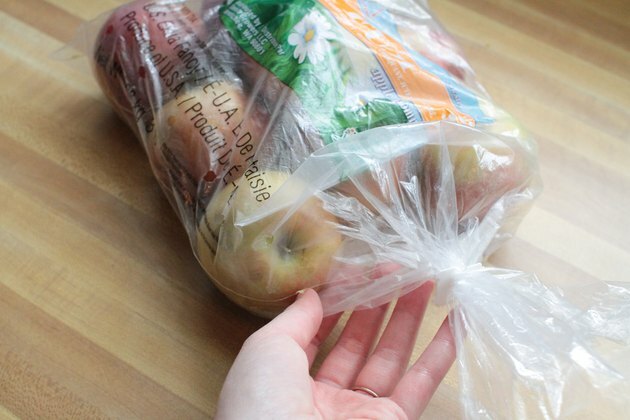 Apples, for example, may have the expiration date printed on the bag. Look for mold on the outside of your fruit. For fruit without rinds, like berries, this indicates that it's spoiled. 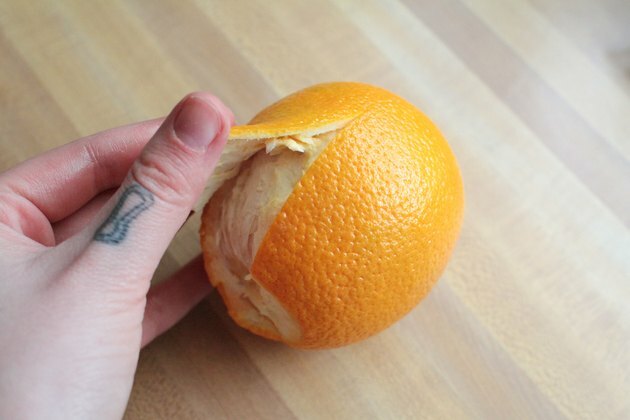 For citrus fruit with a rind, like oranges and grapefruit, this means that you must peel them to determine if they're spoiled. If the mold has spread to the flesh of the fruit, or if you can poke your finger through the rind, throw the fruit away. If it's only on the rind, you can peel the fruit and eat it. Inspect the skin of fruits like grapes, apples, peaches and cherries. If it is wrinkled and/or peeling, it has begun to spoil. If it is smooth, it is still good. Feel and squeeze your fruit. Many fruits like melons and pineapples should be firm when you eat them, as they get softer with age. Once they are squishy, soft and malleable, they should be thrown away -- they also tend to develop a foul odor at the same time. While wrinkled, shriveled or squishy fruit is typically spoiled, a few spoiled fruit when amongst others does not necessarily mean that the entire bunch is bad. You can simply remove spoiled fruit like apples and pears from the others, throwing them away and keeping the good ones. 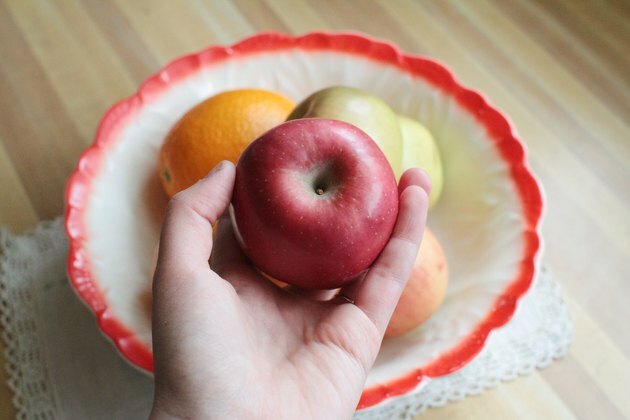 Don't throw away bruised fruit, as bruising does not necessarily indicate spoilage. 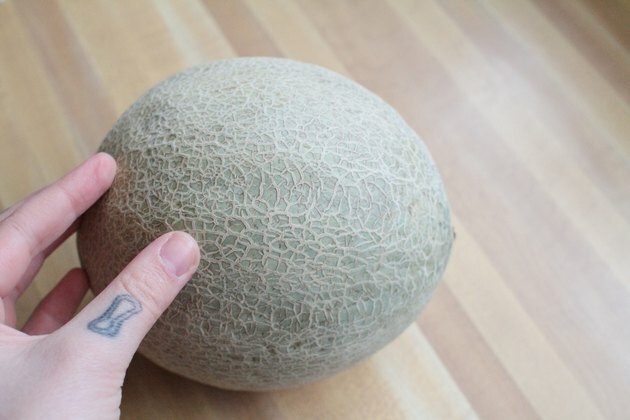 If your fruit has a bruised spot that is soft and/or discolored, you can simply cut it out and eat the rest, as bruising is typically caused by shipping and handling, not spoilage. Store your fruit according to type. Bananas, for example, should never be refrigerated, while apples last longer if they're stored in the refrigerator's crisping drawer. 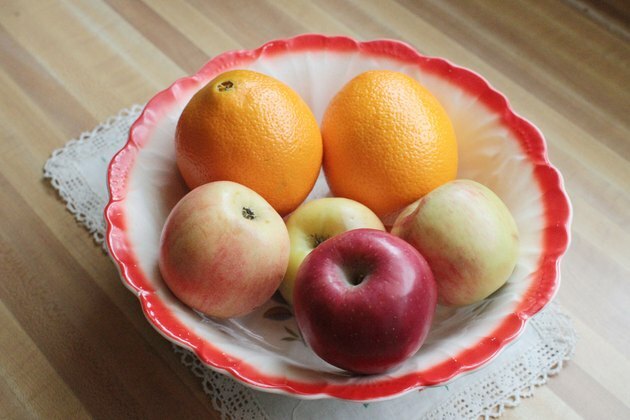 Always wash fruit immediately before you eat it, even if it has a rind that you do not eat, like oranges and melons. This prevents any bacteria or pesticide on the outside from getting through to the flesh of the fruit when you peel or cut it. Don't eat spoiled fruit, as it can make you sick.